Are you a fan of Monkey D. Luffy and the 'One Piece' gang? If the answer is a definite yes, you’re in for a piratey treat! Being a fan, you probably own tonnes of ‘One Piece’ merchandise, and its time for you to expand your King of the Pirates (and sneakers) collection. 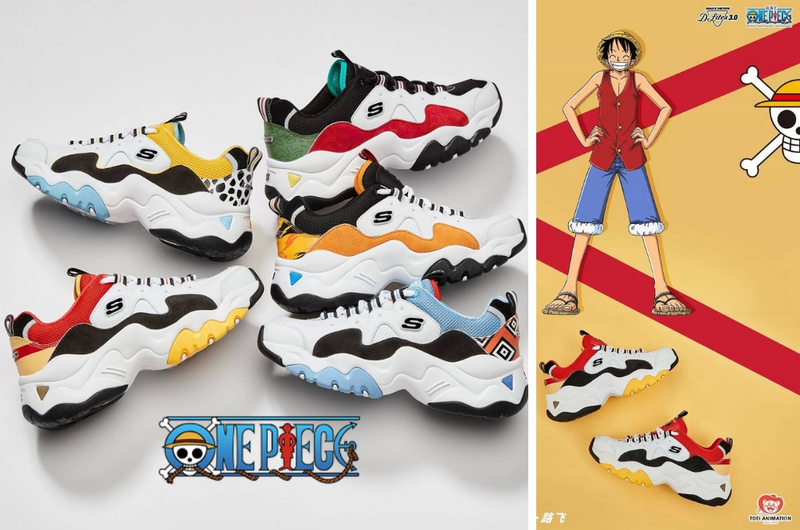 Skechers has collaborated with the popular Japanese manga series to produce a limited-edition collection of Skechers D’ Lites X ‘One Piece’ sneakers. The collection features characters from the episode ‘The Battle of Marineford’ – Monkey D. Luffy, Trafalgar D. Water Law, Marshall D. Teach, Portgas D. Ace, Jinbe, Nico Robin, and Edward ‘Whitebeard’ Newgate. However, only the first five characters mentioned above are now available in Malaysia. The collection is sold with the retail price of RM459 per pair at selected outlets. To find out the list of outlets, click here. On top of your brand spanking new shoes, you’ll also receive exclusive ‘One Piece’ collectibles: a tote bag and cap when you make your purchase at selected Skechers store. Can’t get enough of ‘One Piece’? Then make your way to Pavilion KL, Centre Court from 28-31 March from 10am to 10 pm for a special Skechers X ‘One Piece’ event. For more info, visit their Facebook page. So, which pair will you be getting? We’re definitely digging the colour combination for Jinbe’s design!